Students work on math homework in Thompson Hall. One phrase that inspires terror in the hearts of many senior schoolers come May is “AP Exams.” Advanced Placement (AP) exams are lengthy, cumulative, and diffcult; each test takes about three hours to complete and covers at least a whole year’s worth of material. However, these exams also have benefts, such as potential college credit, resume building and challenging academics. APs are often seen as a standard part of the Hopkins curriculum, but opinions about these courses vary among teachers and students. One Hopkins department that entirely escapes labeling courses as “AP” is the English Department. Tough two AP English exams are offered, Hopkins does not offer courses that exclusively teach the techniques of these exams. According to English Department Chair Alissa Davis, “The AP English exam in literature tests students on the ‘bread and butter’ of what we do in every class: analyzing texts. 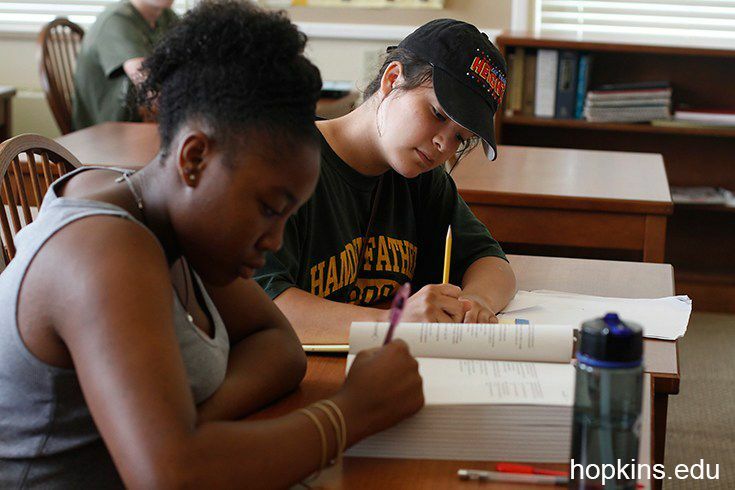 All of the texts that we read in our curriculum provide students with ample depth to answer the big picture questions on the AP Lit exam.” Although Hopkins students may have to prepare for the exam on their own, the rigorous Hopkins English curriculum generally prepares students for these tests. 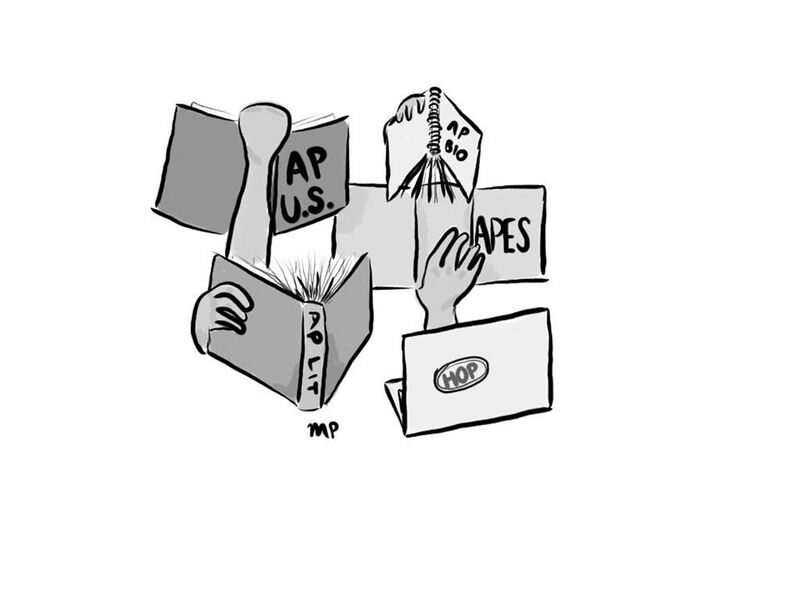 Students flock to AP courses because of the advanced difculty, tests scores for their transcripts and possible college credit, among other reasons. However, the AP curriculum often constrains teachers in terms of what they would like to focus on, and applies an additional time pressure to get through all the material before the May exams. For now, though, it seems as though APs are here to stay.